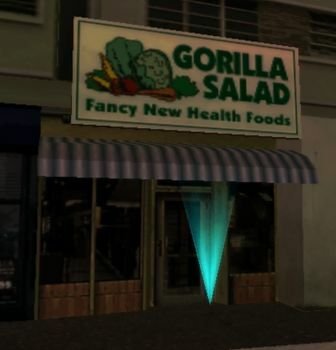 Gorilla Salad is a chain of health food stores in Vice City in 1984, the setting of Grand Theft Auto: Vice City Stories. There are three stores in the Vice City, with one each in Washington Beach, Ocean Beach and Downtown. This page was last modified on 11 June 2013, at 23:27.